Augmented Reality is no more science-fiction. As the technology gains momentum in coming days, no part of our lives would be untouched by it. Being the early adopters of this emerging technology, we help you connect with your customers in a more effective manner. 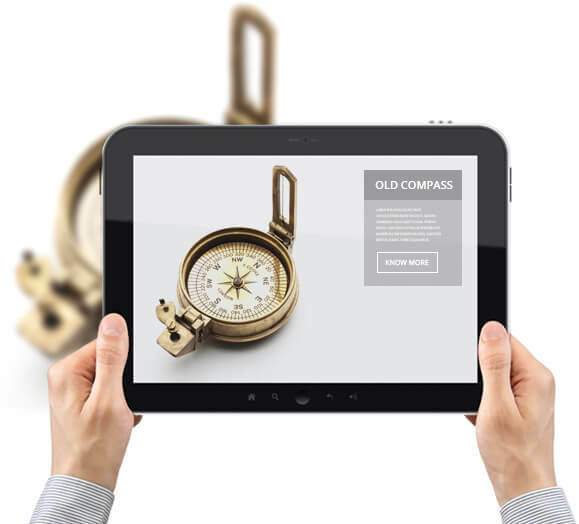 Augmented reality apps successfully fulfill all your business needs, be it generating a strong brand recall or dramatically increasing customer-engagement. Creating 100% tailored apps that automatically recognize images and superimpose digital information over these. AR apps are designed to track image position at any time and have features that include overlayed 2D/3D images, videos, audios, etc. Furthermore, we help design apps using latest Augmented Reality SDK for real-time image recognition which can match thousands of pictures within your smartphone without having the need for an internet connection. These apps use the smartphone hardware to complete image processing and deliver matched results within a second. For instance, as soon as users project their devices towards a landmark, the app returns general information about it within seconds. Augmented Reality Face Tracking apps allow users to try out products such as eyewear, jewellery etc. virtually in real-time. 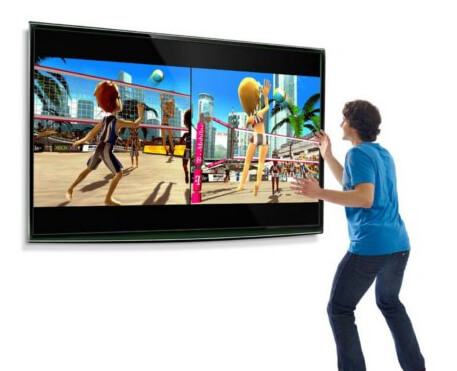 This provides an interactive visual experience. 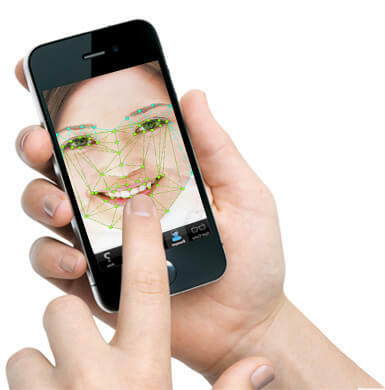 Such apps analyze the scale of face and track the distance between eyes. This makes it possible to display the item in true scale and in relation to your customers’ face. These apps help make better size-related decisions. By building apps that take reference from product images, you can showcase pictures in real-time in 3D form using webcam feed. Apps can also be built that track and match real 3D objects having polygonal shapes such as cylinder, cuboids, cube, sphere, prism, cone etc. Such apps are equipped with functionalities that facilitate super-fast object matching and 360 degree tracking. Most Markerless Augmented Reality apps use the GPS of smartphone to deliver augmented reality experiences. Also, such apps use parts of real environment as targets for superimposing virtual objects. As new mobile technologies continue to be introduced, various Markerless approaches based on natural features have made their way into the AR world. These approaches include using real objects as targets instead of fiducial markers. 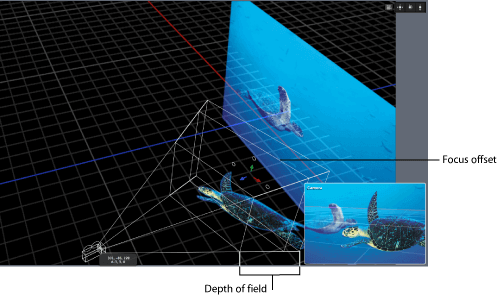 A Markerless Augmented Reality SDK heavily relies on already available specialized and robust trackers. 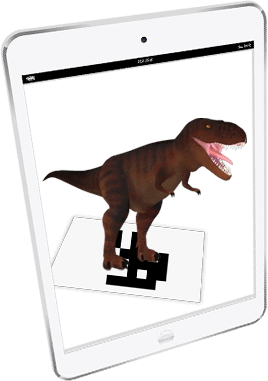 We specialize in 3D Augmented Reality App Development. How about an app that lets your users play games virtually using their hands and fingers? Well, such impressive apps can be designed using Leap Motion technology. 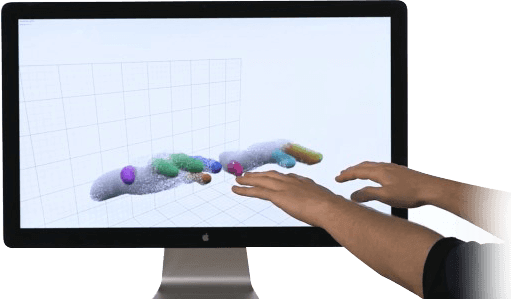 By connecting the leap motion device to your laptop or PC, you can play games, paint pictures and much more. Augmented Reality Hand Tracking apps help track and detect 10-fingers with absolute precision. Using high-end technology like Microsoft Kinect, wonderful 3D Augmented Reality apps can be built that track the entire human body to offer the best-ever immersive experience. Retailers can take advantage of such apps to offer their customers a futuristic shopping experience. Apps that rely on body tracking allow users to superimpose items on their body to deliver an interactive experience. For instance, while buying apparels, customers can view how they look in their favourite dress virtually and even choose color and size options. 3D sensors when equipped with your mobile devices have the power to let you view your surroundings in three dimensions. Highly advanced apps can be engineered for smart devices with 3D sensors to capture dense geometry, simulate real-world physics and much more. 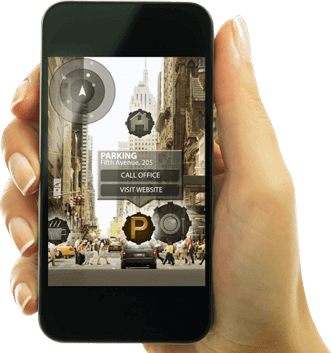 Using such apps, your users can have a real-time three dimension vision of the world right in front of their eyes.